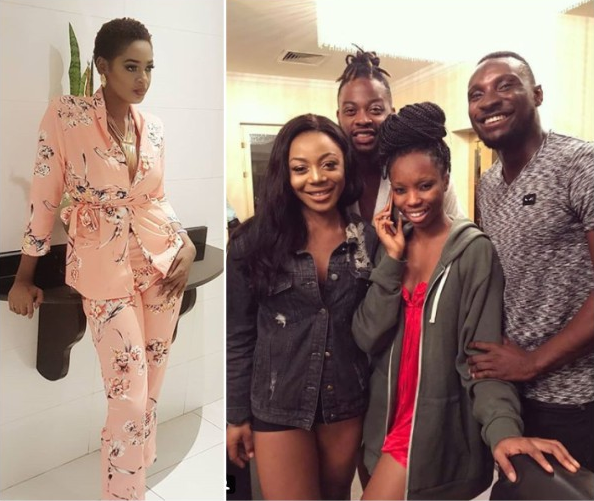 Former evicted Big Brother Naija 2018 housemate, Ahneeka, shaded fellow ex-housemate, Ifu Ennada, for trying to be friends with BamBam who she had called 'fake' in the past, and Teddy A following their eviction from the house. This came after Ifu Ennada shared a photo with Teddy A, BamBam and Angel, with the caption: "All is good! @bammybestowed @iamteddya Welcome guys! Let's get it! @angelthebrand"
Ahneeka in her tweet wondered how one will make negative comments about someone and be all over them the next minute. She wrote: "How do you talk so much smack bout a person one minute and be all about them the next cos they 'waving'. that's some super power"